You’re not dreaming, it’s peach season!!! I know you’re stocking up on those end-of-summer fruits and I’ve got an epic peach milkshake you’re not gonna wanna go without. 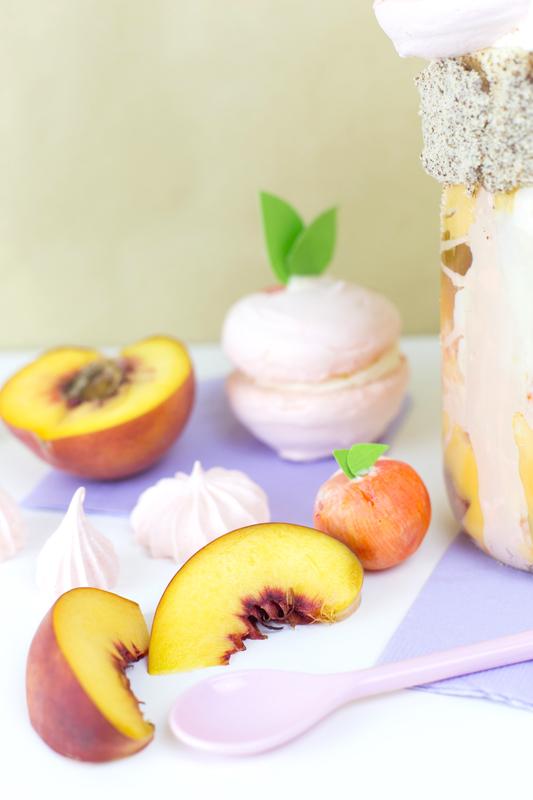 Jam-packed with everything peach, it’s about to be the milkshake of your dreams! You’ll also need a large glass and blender. 1. Melt and mix about ½ cup of white candy melts and ¼ cup of orange candy melts to create your peachy-colored white chocolate drizzle. With a spoon or squeeze bottle, drizzle your melted chocolate around the inside of your glass. 2. Mix your buttercream (you can use a store-bought vanilla frosting) and stir in a ¼ cup of peach jam. This will be the “glue” for your cookie crumbles. 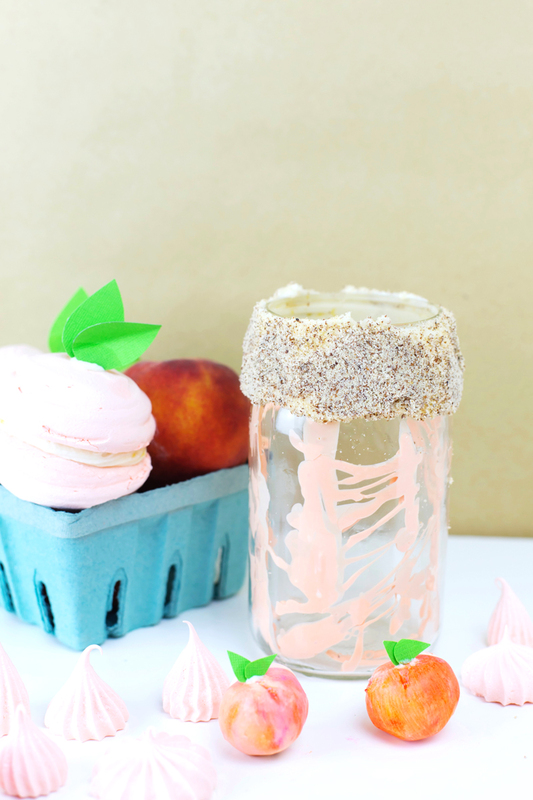 Spread your Peach Jam Buttercream around the outside top of your glass and cover the buttercream with the vanilla cookie crumble. 3. Slice your peaches and get your decorations ready. 4. In a blender, blend your peach ice cream and milk together. 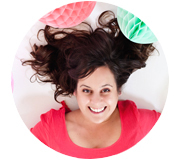 You’ll get a yummy, thick shake–but no snacking yet! If you can’t find peach ice cream you can get your favorite vanilla, and add some peach jam while blending to give it a flavorful punch. 5. 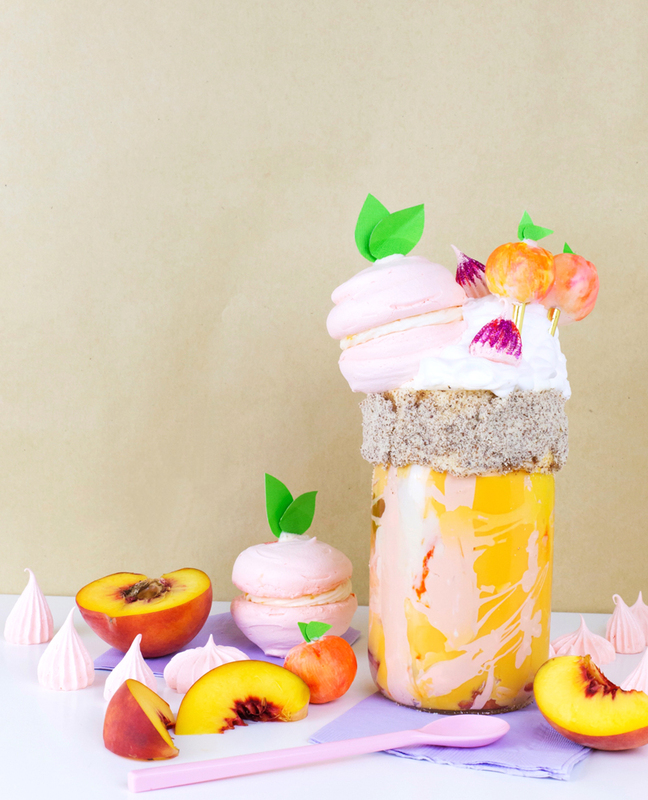 Before pouring the shake into your glass, add a layer of freshly sliced peaches to the bottom, along with a dollop of jam. This will add a fun surprise at the end of your shake! 6. 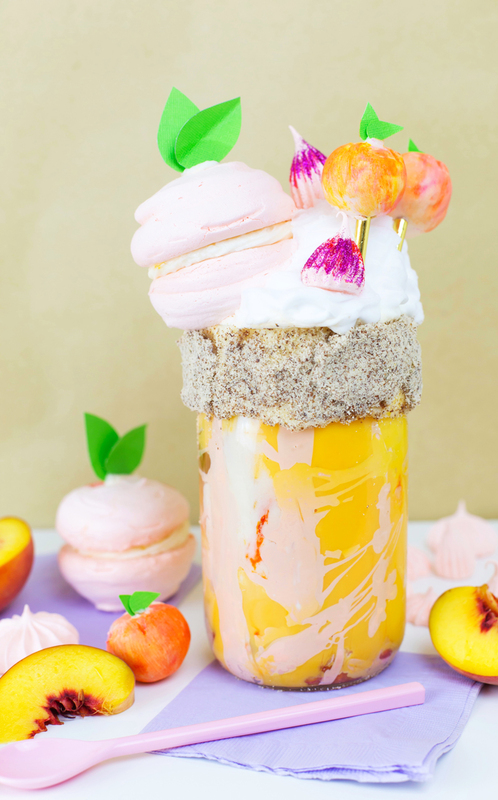 Top your shake with whipped cream and add your favorite peachy toppings to make the perfect Peaches and Dreams Milkshake. 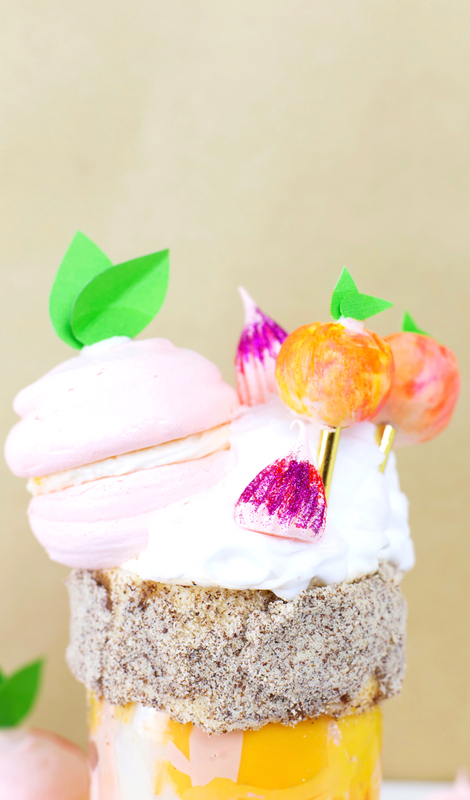 Add a festive straw, sit back, and enjoy your peach paradise. If you want, you can always make this Peaches and Dreams Milkshake a little boozy for the weekend, by adding 1 ounce of your favorite dark rum. Gonna bookmark this recipe! My daughter’s favorite fruit is peach and this milkshake will make her scream in excited. Thank you for sharing! !